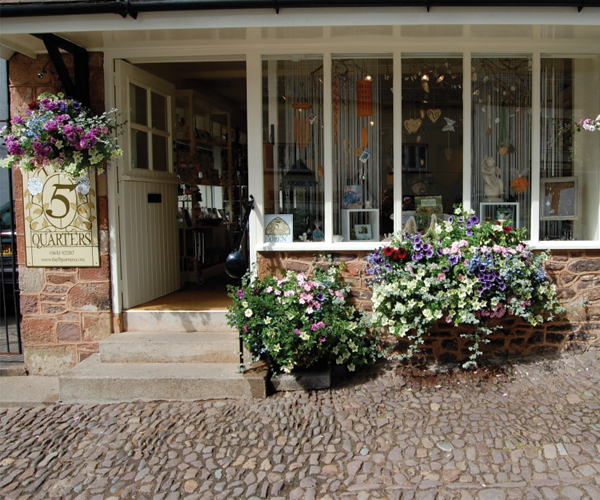 The 5 Quarters is a family run business & shop based in the Medieval village of Dunster in Somerset. We have been welcoming our valued customers to the shop since Dec 2004 when we first opened. Our philosophy lies within the beauty & magic found in nature, her elements, seasons & cycles. Based on an ancient system, the Wheel of the Year journeys through Air, Fire, Water, Earth & Spirit, the 5th element. By re-acquainting ourselves with the elements, we begin to become more conscious of the natural world, which can help bring balance & harmony into our busy modern lives. We aim to create a tranquil environment for customers to escape their busy lives where they can relax & unwind to shop for something magical. Over the years we have carefully sourced items that represent & reflect the qualities of each element. Hand picked by ourselves we stock a wide range of crystals & semi precious stones, in their natural form as well as set in sterling silver jewellery. We also offer a beautiful range of gifts alongside our expanding range of fairies & fairy garden houses. 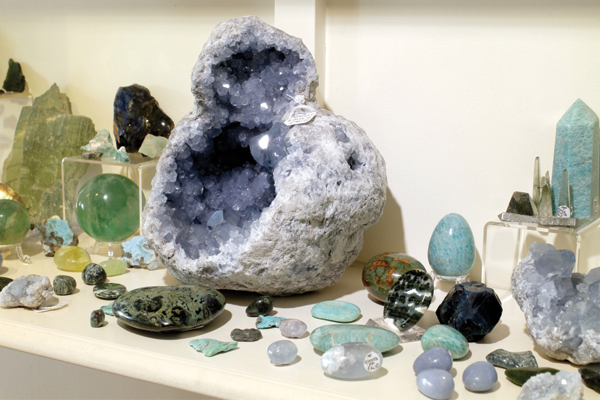 Whether you simply admire their beauty or find them a soothing presence, our beautiful range of crystals & semi precious stones are a favourite among our customers of all ages. We are happy to offer guidance to help with your selection & if you can’t find what you are looking for then we will do our best to source special requests wherever possible. The shop is the culmination of founder Andrea Brown’s 24 years’ experience working both in the UK & abroad in complementary health as a practitioner & retailer. Her enthusiasm for working with nature & the elements started over a decade ago through her on going studies in wild nature, health, healing & Spirituality. As well as qualifying in crystal & sound healing in 2003, she draws on her knowledge & experiences in assisting those seeking guidance in the shop. Working alongside Andrea is her business partner, Mum, Valerie, who has also spent many years running businesses in horticulture, retail & hospitality. Together mother & daughter draw on each other’s strengths in creating a magical space to bring joy & love into people’s lives. With having launched the wonderful range of Fairy Garden Houses over a year ago in our Dunster shop, the range has grown from strength to strength. Complementing our other fairy collections, we are pleased to launch our new website specialising in everything Fairy. If you are new to the world of the Fey then we hope you will find all that you are looking for here in creating a magical space to invite the Fairies into your life. If you are an existing customer & Fairy Fan, then we hope you enjoy our online shop where you can add to your enchanting Fairy Gardens. We will eventually be adding our crystal range to the website if however you require any assistance with stones then please contact us & we will be more than happy to assist. Our Dunster shop stocks a wider variety of items & if you don’t see something on the site that you know was in the shop, then do contact us as we can still send it to you, providing it’s still in stock. If you would like to learn more about crystals & the seasonal changes our quarterly newsletter is designed to offer helpful guidance & support. We hope you enjoy your visit & that you find what you’re looking for.